Beautifully Simple. Simply the Best. 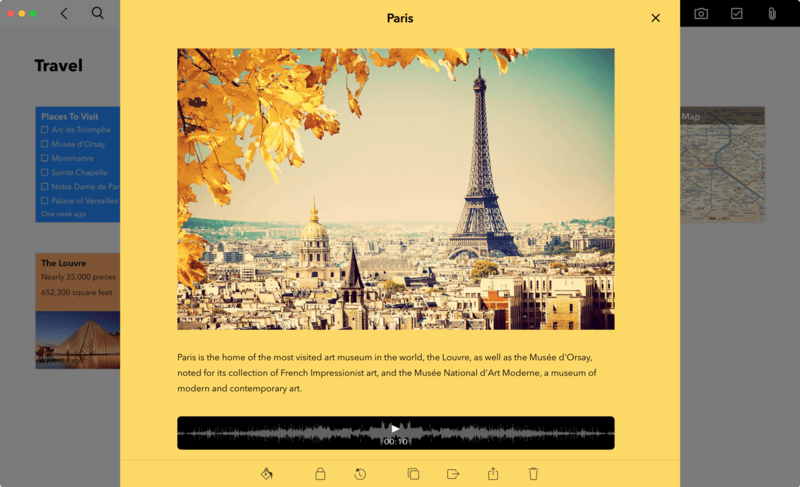 Experience the best note-taking app for Mac today. 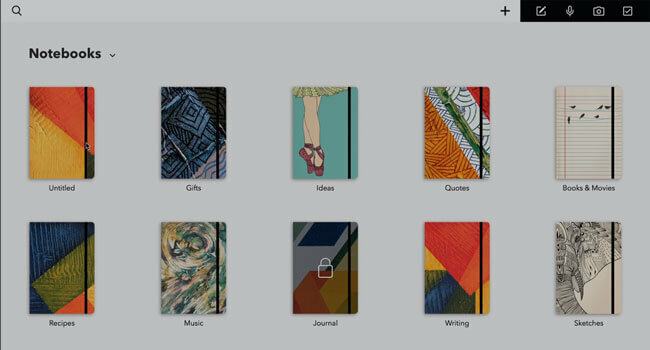 Since Notebook holds your ideas, thoughts, and memories, we think you should be able to customize it too. That's why you can add custom notebook covers by simply dragging a photo onto a notebook. Once inside a notebook, you can color coordinate your notes with colors we've provided, or by making your own. Mobile devices have taught new ways to interact with applications through multi-touch gestures. 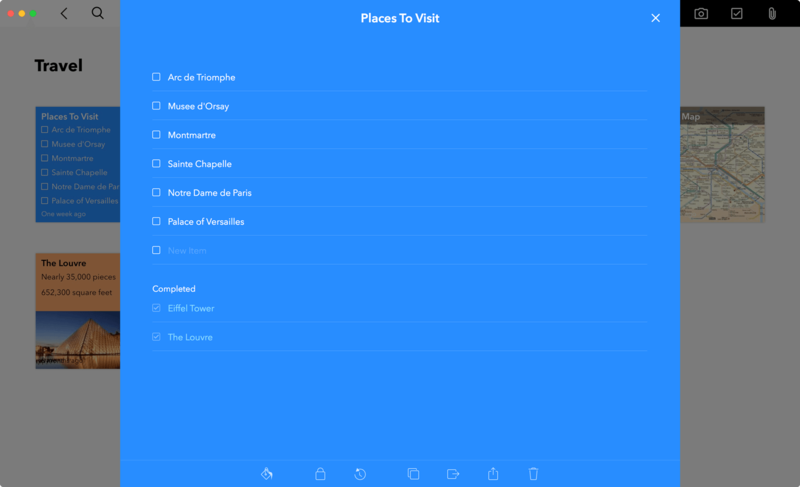 Notebook brings the familiarity and ease-of-use of your smartphone to your Mac. With a trackpad, you can navigate Notebook without making a single click. 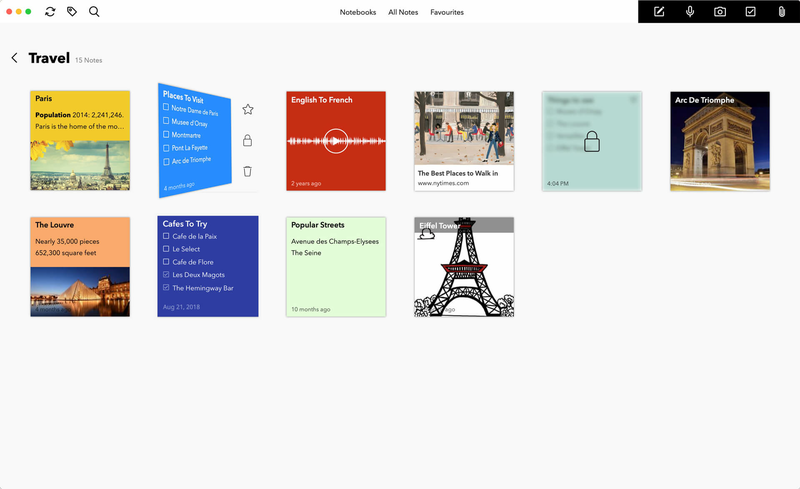 Simply hover over a notebook or note and pinch to open and close notes and notebooks. 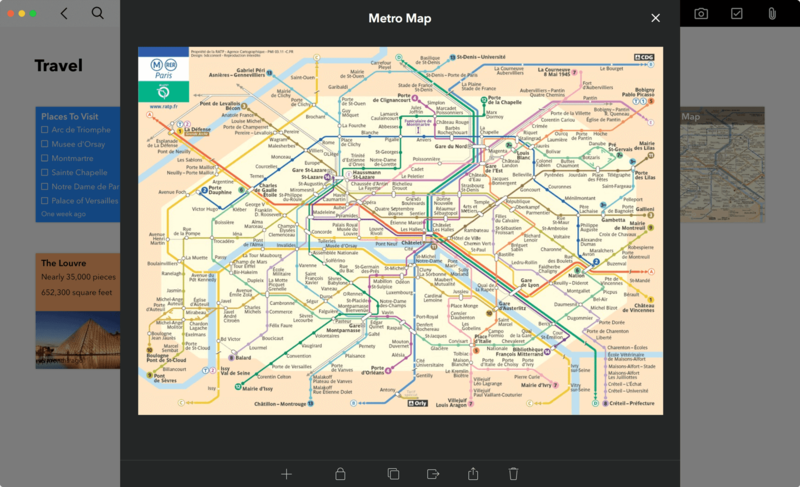 Hover on a note or notebook and two finger swipe to see more information, lock, or delete. When notes are grouped, use two fingers to flip through them. Different types of notes should be treated differently. 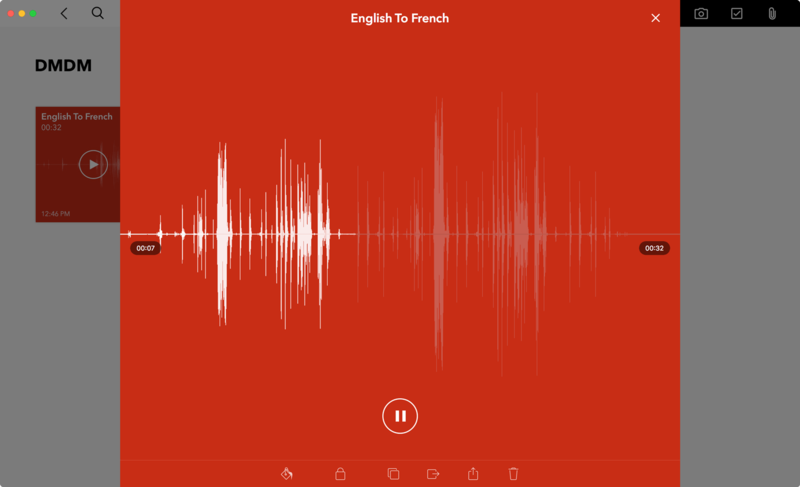 Jot some text and combine different types of notes in a Text Card. Drag images from your desktop right into Notebook, automatically creating a Photo Card. Stay on top of things with a dedicated Checklist Card. Record meetings or lectures with the dedicated Audio Card. 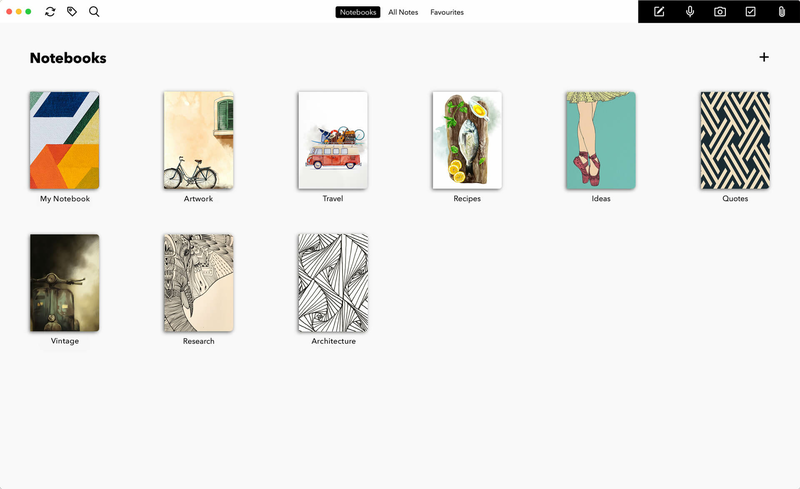 Notebook for Mac has plenty of bells and whistles, with many more on the way. Lock individual notebooks and notes with passcodes or Touch ID. 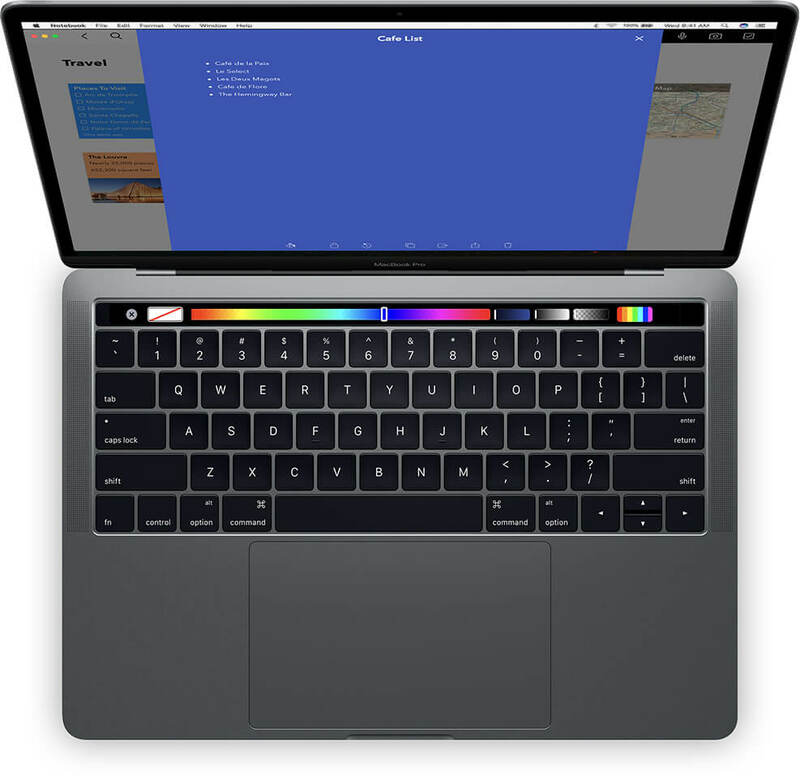 Change Note Card colors and format text from the Touch Bar. Take a Shortcut with Touch Bar. 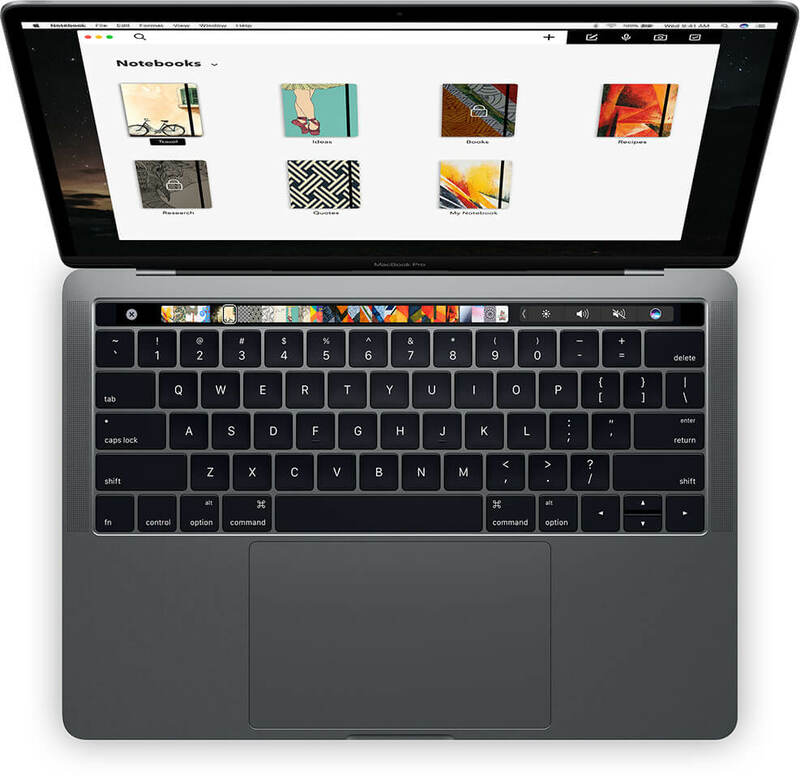 MacBook Pro's new Touch Bar runs through Notebook, enabling contextual shortcuts within the app. 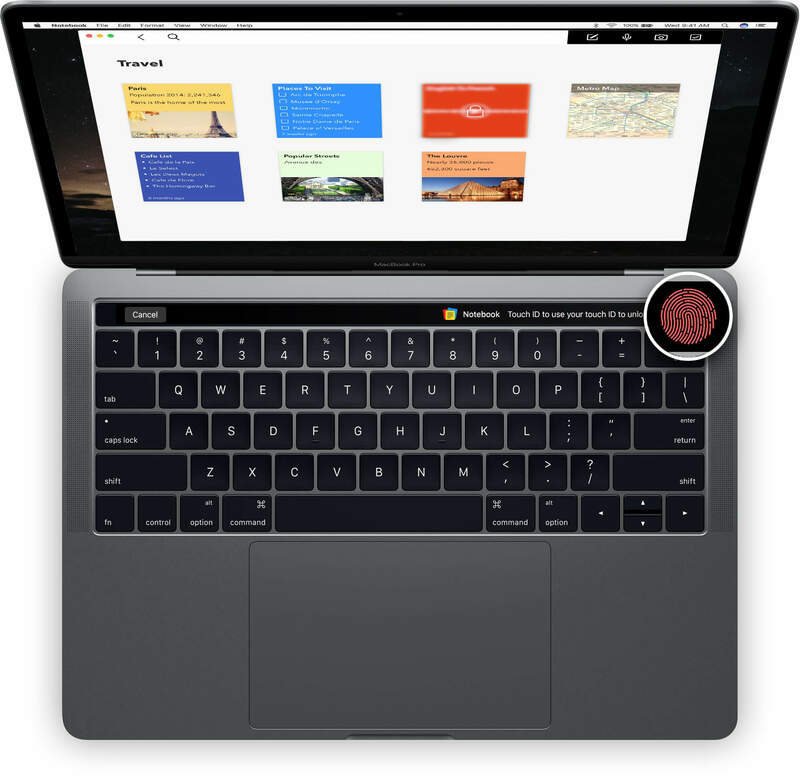 Change views, create notebooks and notes, change notebook covers and note card colors, unlock notes with and more, all from the Touch Bar. No catch. No advertisements either. And no, we're not selling or viewing your data. 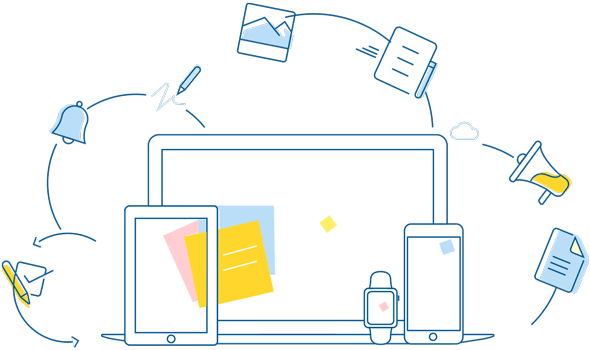 Notebook is subsidized by our ever-expanding, broad suite of business applications, which isn't a new thing for us. Zoho has been offering productivity applications for free for over a decade. Notebook is no different. You can learn more about all the things we do at zoho.com. Need to takes notes from browser?